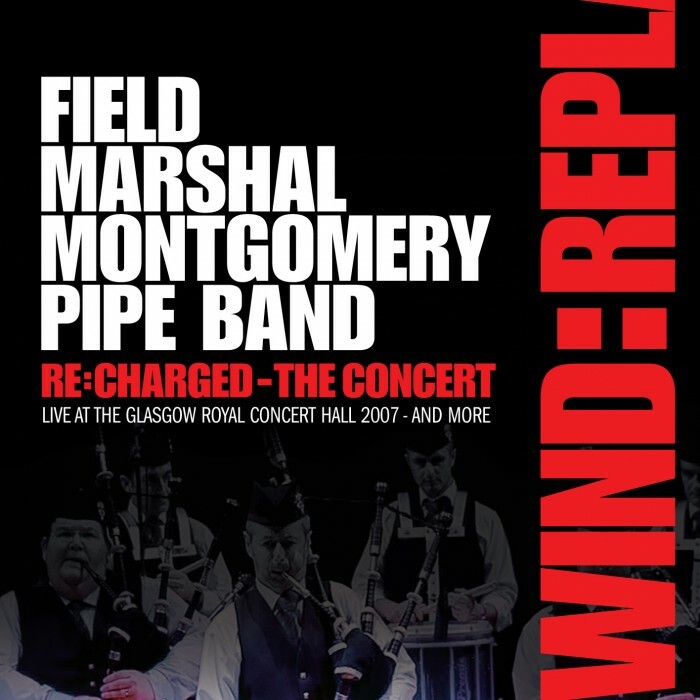 REWIND:REPLAY is the first ever exclusive DVD recording from Field Marshal Montgomery Pipe Band. The DVD showcases the RE:CHARGED concert in full, featuring live footage of the whole band and varied close-ups of band members, and includes concert sets not featured on the RE:CHARGED album. The DVD also features special interviews with the band’s current leadership and past leaders and band members in a retrospective look at the band’s journey to becoming the most successful pipe band of the last decade. 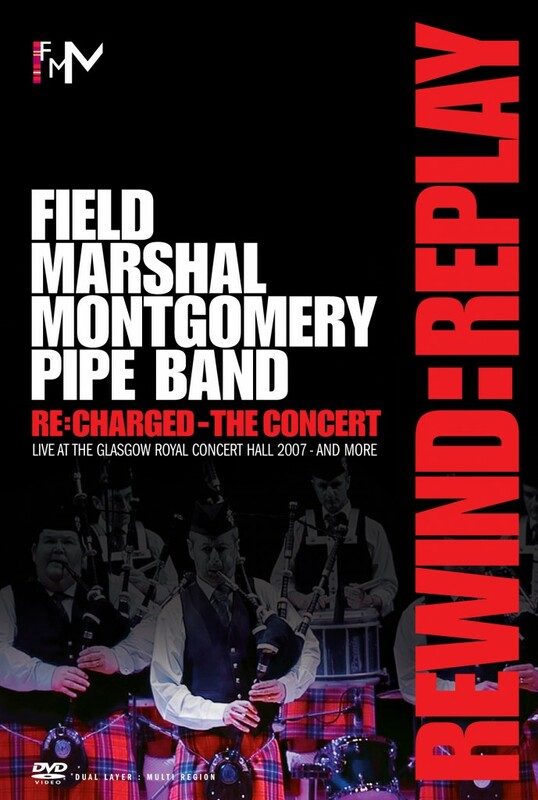 This DVD is a must have for any fan of the Field Marshal Montgomery Pipe Band or pipe band enthusiast. Buy your copy signed by Pipe Major Richard Parkes MBE for a limited time only! Interviews with current and former band members – William Maxwell, Ian Wood, Richard Parkes, Ricky Newell, Richard Coffey, Dorothy Barham, Gordon Parkes, Karen (Jackson) O’Brien, Keith Orr and Earl Glasgow.